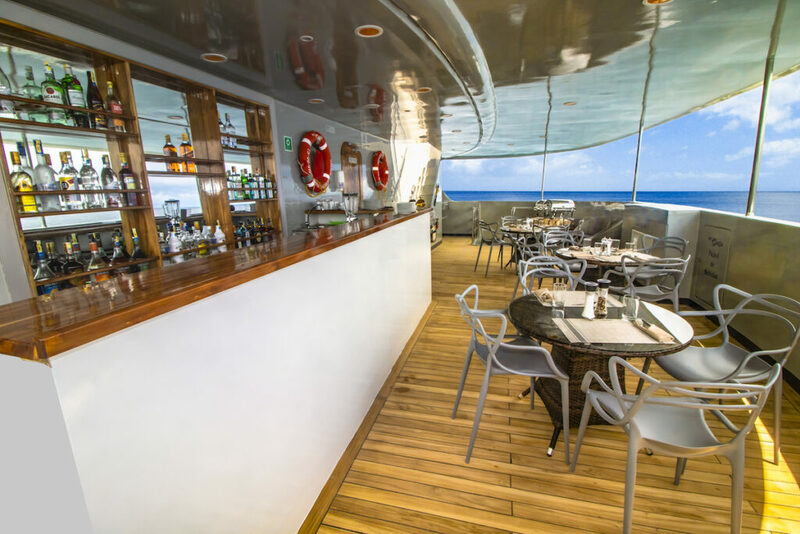 Shiny New Ship: Camila is the newest ship to sail the Galapagos archipelago; a trimaran (sleek and swift with a stable hull) offering 3, 5 and 8 night stays onboard, cruising the islands of Isabela, Fernandina and Espinosa. 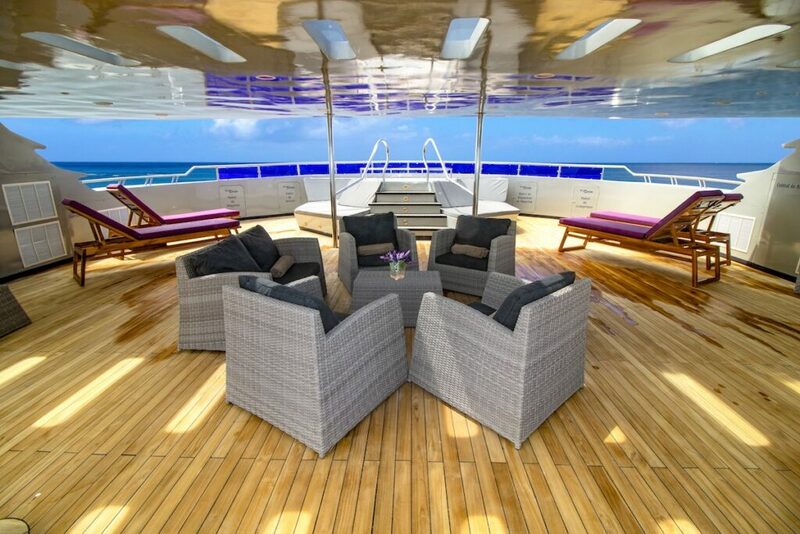 Her decks gleam and everything inside and out is clean and comfortable. 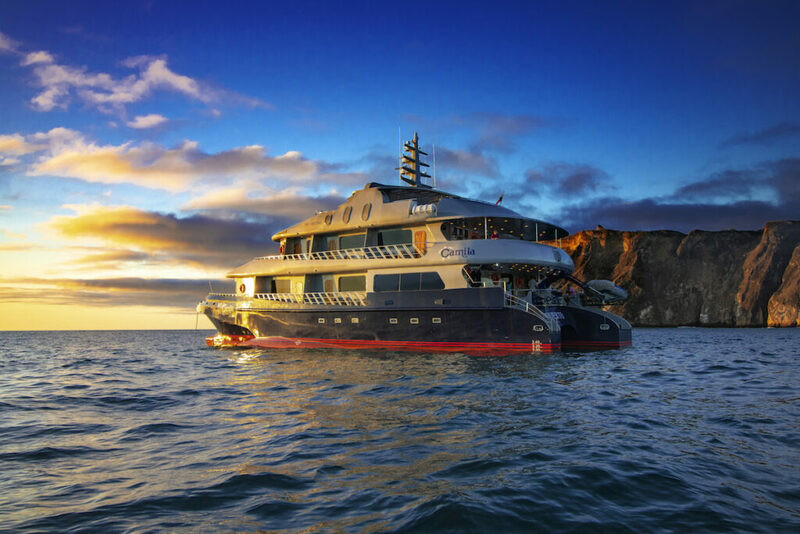 Sleeping only 16 passengers in 8 cabins, she is very small for the region, providing an intimate exploration of the remote, wildlife-rich Galapagos Islands. 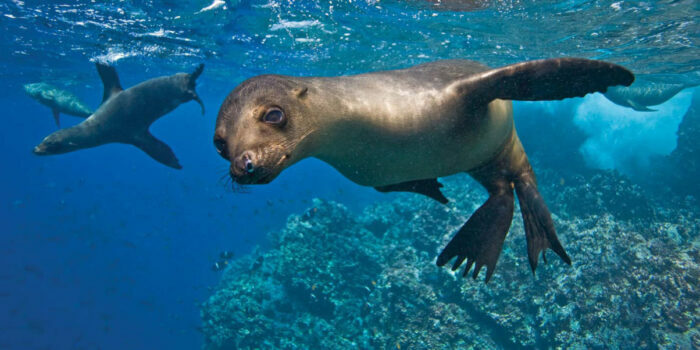 The Galapagos Islands: The archipelago’s extraordinary topography is as diverse as its islands’ inhabitants. The flight in glides over an incredible landscape of thick black lava flows and prickly scorched scrub, bordered by cushions of white sand. 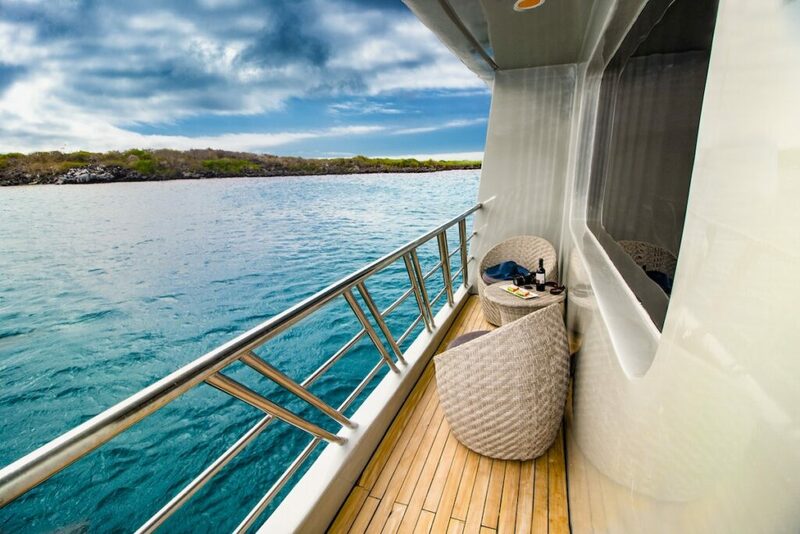 An Average Day Onboard: Days start early on a Galapagos cruise. Breakfast is typically served at 6.30am or 7.30am. We’d recommend starting the morning with a refreshing swim off the back of the boat – no matter what the season, guests are greeted back onboard with a warm beach towel and a mug of cinnamon tea. The water is a clear emerald in the shallows and deep green at sea. 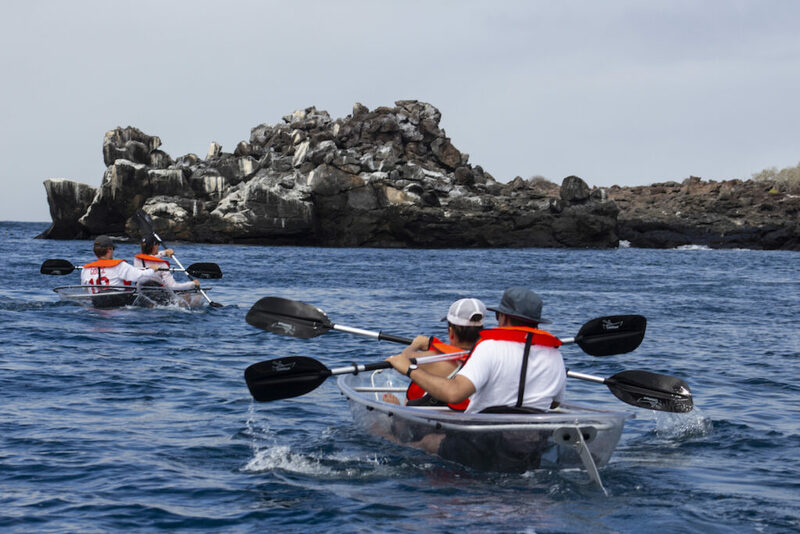 There will be a land expedition in the morning to explore a lava field or a lake populated by flamingos, followed by some snorkelling for an hour or so (kayaks, snorkel gear and wetsuits are included). A buffet lunch is served around noon. 3-4 colourful salads, fresh fish, rice, couscous and fruit are usually on the menu. Then there is downtime for a couple of hours to recharge before heading out again at around 3pm, perhaps to explore mangroves by panga (zodiac). Return to the boat for a final swim and shower. Dusk settles around 7, when Jose, an enthusiastic mix master, can be seen stirring up creative cocktails. Food onboard is always very good and varied, from peppercorn steak to seared tuna, curried chicken and barbecued swordfish with chimichurri. There is a brief talk from the guide at 7pm, followed by a delicious dinner and a peaceful night’s sleep. Itinerary Highlights: Explore volcanic remnants and rare plant life on Sombrero Chino Island. 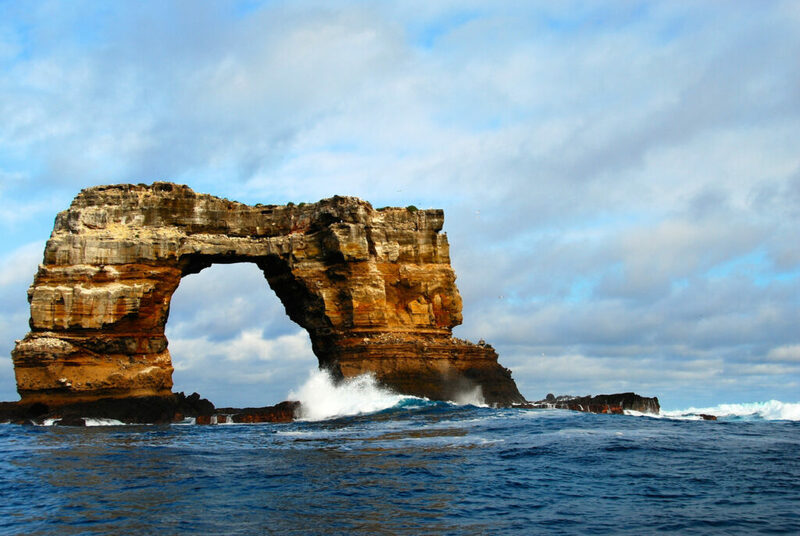 Visit the turquoise coves of Vicente Roca Point on Isabela and watch penguins at Tagus Cove. Get up close to hundreds of marine iguanas sunbathing on black lava rocks on Fernandina, before heading to Urbina Bay to sight turtles and rays. Explore Moreno’s beautiful rocky shoreline where rare blue herons are usually spotted, then journey to Santa Cruz to hike into the rugged highlands where giant tortoises roam free. Santa Fe Island is a volcanic uplift hosting a forest of Opuntia and Palo Santo, where endemic land iguanas are often hiding. 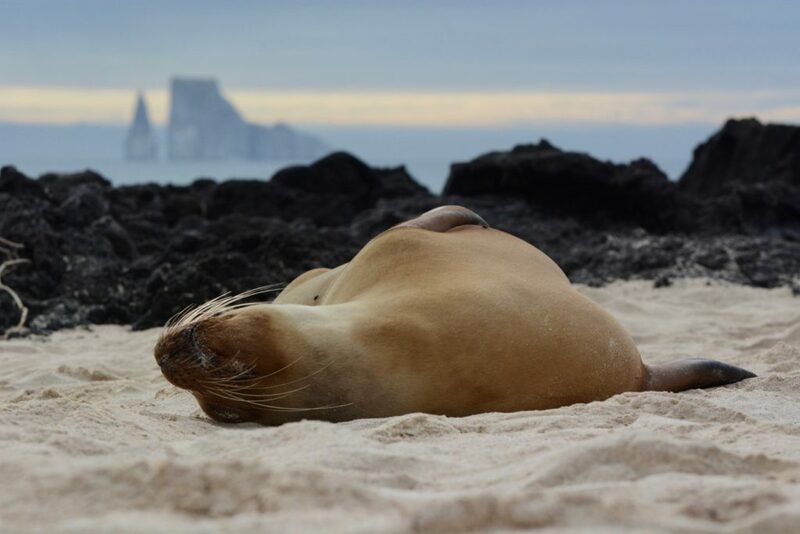 One of the most incredible wildlife zones in the archipelago is Espanola Island – head to Garder Bay to enjoy a magnificent beach, turquoise waters and a large colony of playful sea lions. Wildlife: Sea turtles, hammerhead sharks, blue footed boobies, white-tips, iguana, sally lightfoot crabs, giant tortoises, cormorants, seahorses, flamingos, Galapagos penguins, herons, pelicans, cormorants, hawks, starfish, sea urchins, penguins, pufferfish, rays etc. Occasional sightings of killer whales, blue whales and dolphins in open water. Rooms: 8 different ensuite cabins with private balconies. There are no baths onboard, only showers. The social areas are spacious and open, with plenty of room on the decks to relax and read or just take in the ever-changing views. There’s also a jacuzzi on the outer deck. Hospitality & Guiding: Staff are always polite, efficient and answer each question as if for the first time. Guides are selected for their knowledge on the archipelago’s distinctive biology and ecology, which they share enthusiastically with guests onboard. An English speaking naturalist guide accompanies all land excursions, introducing guests to the endemic flora and fauna found on the spectacular islands. During land excursions, you would typically share the bay with 1-3 other boats. Crossing paths with other groups is unavoidable in the Galapagos, but it is well organised and doesn’t mar the experience. 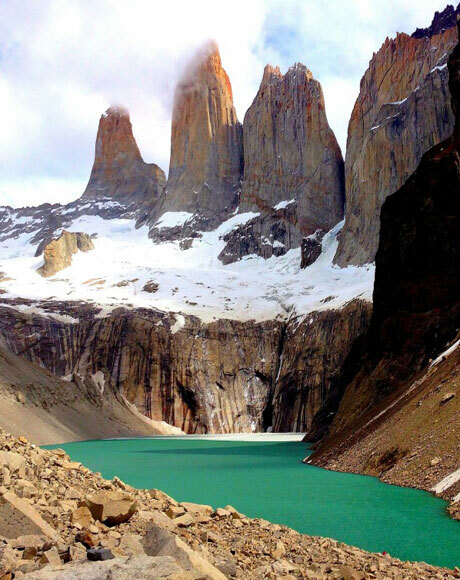 The islands follow strict regulations and currently they receive around 200,000 visitors per year. 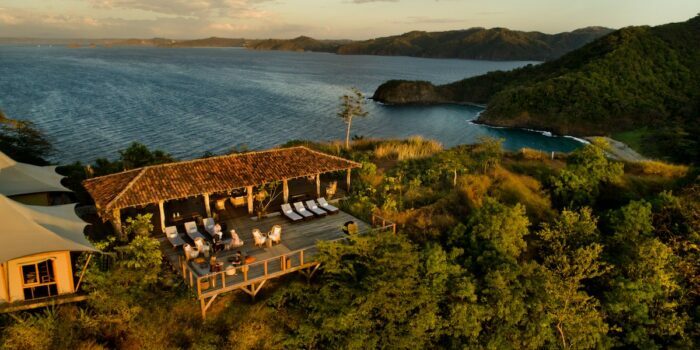 When to travel: The Galapagos Islands can be visited year round. Winter is May-November when temperatures are lower and the seas are a little rougher; summer is December – April, which is rainy season, so the odd downpour is to be expected. The sun is always strong due to the islands’ position on the Equator. Visibility is the same year-round, as are the quantity and variety of animals.